The morning after the Academy Awards celebrated everything about movies, the one underappreciated ingredient that every winning film had was a champion that helped that film to get made. Usually that person is the producer, who could easily be described as as a cheerleader with vision. The producer is the one who needs to believe in a film and be willing to put their reputation on the line to help it get made. 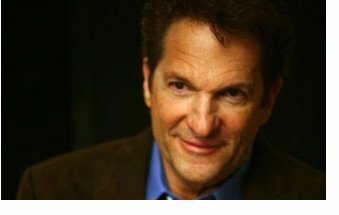 Peter Guber is one of the most well known producers in Hollywood and the former Head of Sony Pictures. The first time I met Peter Guber was over breakfast in Beverly Hills. The legendary producer of iconic films like Gorillas in the Mist and Rainman shared with me the philosophy that carried him to success during his unusually long career in Hollywood (a place notorious for encouraging short-lived careers). It was one of the most enlightening conversations I've had, and it was not because of filmmaking but rather because of Peter's belief that the power of storytelling is the secret at the heart of his success. Arouse Your Listener's Curiosity. 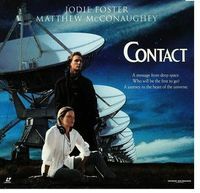 One of my favourite science fiction movies is the film Contact with Jodie Foster. It turns out the first moment when Carl Sagan sold the movie rights to that book happened before he even wrote it. At a backyard lunch session, he described the vision for a story where an alien race made contact with humans and sent a message with instructions on how to build something that might enable more direct contact. The story of what would be built, and who would get to take the one seat it contained was the story of Contact – but the way Sagan sold the idea was by planting the seed of the story and asking Peter whether he would want to know what happened next. Of course he would, as we all would – and the movie was sold on the spot and made into an award winning film. Make Your Customer The Hero. In 2005, entrepreneur Richard Rosenblatt sold his company Intermix Media, the parent of MySpace.com, to Rupert Murdoch and News Corp for $580 million. 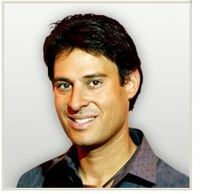 It was one of the largest deals at the time for an online media company, and speaking to students at UCLA, Rosenblatt shared that he had made the sale in just 20 minutes. How did he do it? When he talked to Murdoch, he had done a masterful job of painting him as the hero of the story. He shared how Murdoch had been forward thinking in every other aspect of media except for the Internet and that he was overdue for making a big statement on the web. Buying Intermix could be that statement, and at the close of the meeting Rosenblatt shared an almost impossible prediction: "One year from today you will be on the cover of WIRED magazine." One year later, Murdoch was indeed on the cover and sent an autographed copy to Rosenblatt. Know Where The Drama Is. 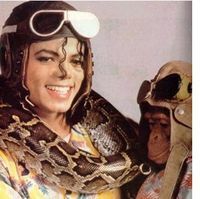 Iconic music legend Michael Jackson may well have been one of the greatest entertainers who ever lived, but in 1991 when Peter described meeting him – he had only one thing on his mind … getting into movies and television. His philosophy that he shared with Peter that day was all about drama, and he brought it to life by showing Peter the massive glass terrarium in his home where he kept a huge snake. He placed a mouse inside and talked about how he needed to feed "Muscles" live mice because the snake enjoyed the game of catching the mouse. "What will happen next?" Michael asked. The drama was in watching the game unfold and understanding that dramatic tension as much as the power of his music or the fluidity of his dance moves made Michael Jackson the amazing performer that he was. Visualize Your Data. There was a time back in the 70s where directors and stars for films were chosen based solely on relationships and very unscientific guesswork about who was available at a particular time. When Peter started his career, he created something that he called his "board of directors." It was literally a board that he put on the wall of his office which mapped out every recognized director, what types of films they had made, what their current project was, and when they would be available. It wasn't long before stories of this corkboard covered in pushpins and rope became a legend around Hollywood and movie execs as well as stars like Sidney Portier stopped into Peter's office to take a look. More than any other aspect of his career, Peter credits this board and his dedication to visualizing the hearsay-style data that existed around Hollywood into his "board of directors" with helping him to accelerate his career within Hollywood. 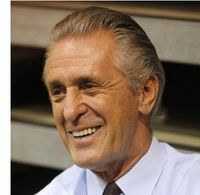 after that sixth game – and it worked. Prove Your Sincerity. 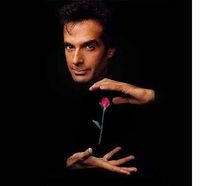 David Copperfield is the most recognized magician in modern history, and also one of the most highly paid and frequently seen celebrities in Las Vegas. His mastery of magic is clear – but as Peter shares in Tell To Win, it was his ability to tell stories in a sincere way that really allowed him to connect with his audience. In one particular show, he shared the story of his grandfather and his personal quest to connect with him but inability to do it because his grandfather never understood him or the draw of magic. As he shared this personal frustration with the audience, they connect with him and his story on a human level. It wasn't about the magic alone. After the show, what most audience members talked about apart from floating cars and other amazing tricks, would be the way that Copperfield was able to bring everyone watching into the show with his personal story.